Calories in - calories out, right? 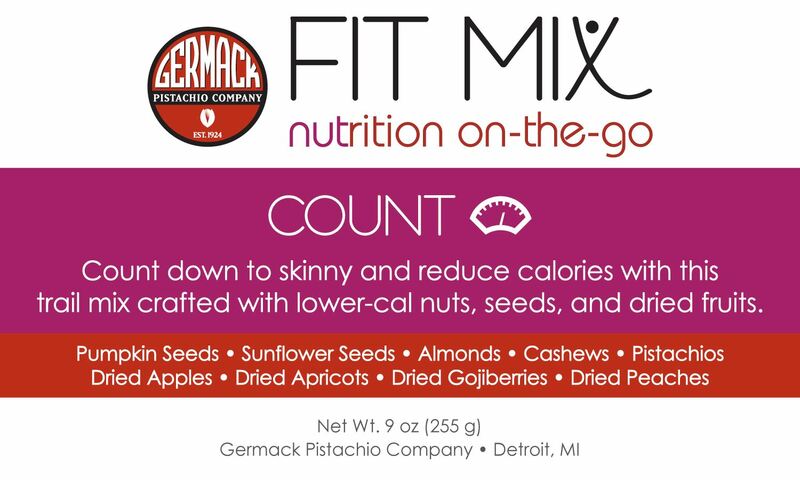 Well, that's not the whole nutritional story, but this nut, seed and dried fruit trail mix specially crafted with lower-cal ingredients is something you can count on! 1 oz. has 120 calories. 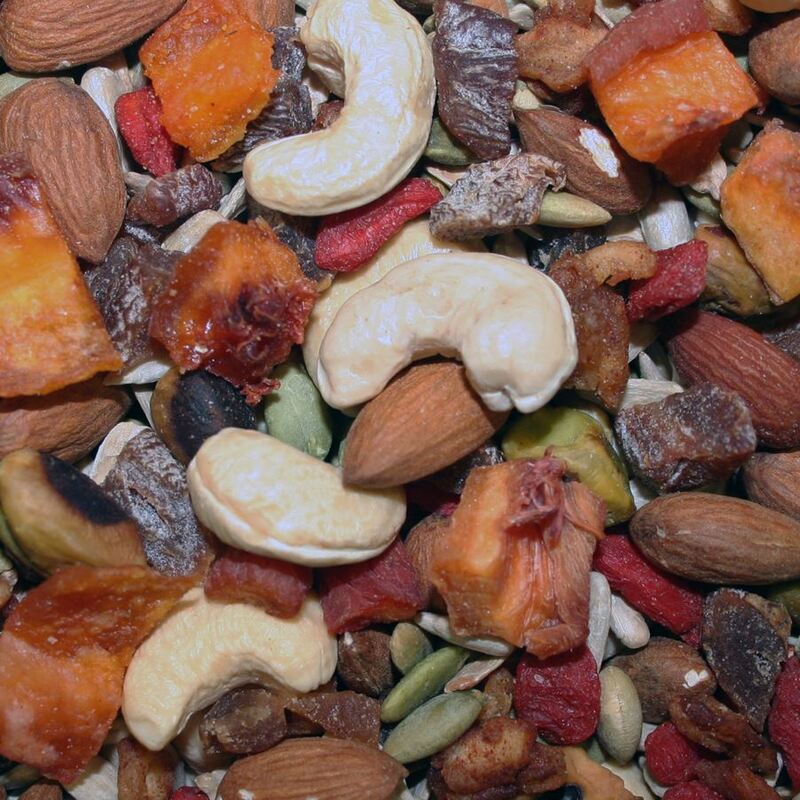 These are some of the lowest calorie nuts, seeds and dried fruits we could find! 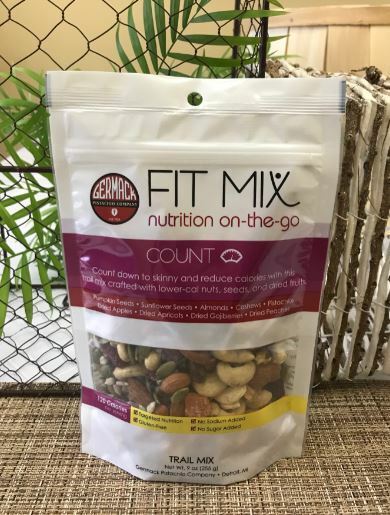 Ingredients: Sunflower seeds, pumpkin seeds, cashews, almonds, dry roasted pistachios, peaches (sulphur dioxide), apricots (sulphur dioxide), goji berries, diced unsulphured apples, cranberries (apple juice, sunflower oil).